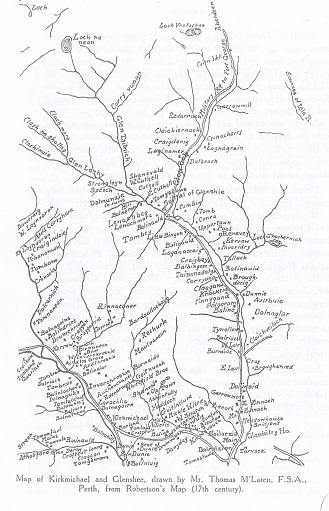 This map is taken from Robertson’s map (17th Century), and copied from “Tales of a Highland Parish (Glenshee)”. Note the number of farms and settlements which are no longer present. This page was added by Sally Gingell on 20/02/2016.